The Reverend Elder Nancy Wilson, Presiding Moderator of the Universal Fellowship of Metropolitan Community Churches, was today named by President Barack Obama to serve on the White House Advisory Council on Faith-Based and Neighborhood Partnerships. The White House Advisory Council brings together leaders and experts in the fields of faith-based and neighborhood organizations to work in the Office of Faith-Based and Neighborhood Partnerships, which mobilizes and coordinates community organizations, religious and otherwise, to provide effective social services to address the needs of low-income and underserved populations at home and abroad. “I am deeply honored and grateful for this opportunity to serve,” said The Rev. Wilson. “This is a wonderful opportunity to seek common ground and shared purpose with a broad spectrum of the religious and social service communities, and an opportunity to transcend lines of religious and political affiliation as we to seek sustainable solutions to the needs of the vulnerable. The Advisory Council on Faith-Based and Neighborhood Partnerships was created on February 5, 2009, by President Obama, to bring together experts to identify best practices for delivering social services, evaluate public policies and make recommendations to the President on those policies. Metropolitan Community Churches applauds the President’s selection of one of the nation’s leading religious figures in the LGBT community. Known both for her pastoral skills as well as her public advocacy, Rev. Wilson has pastored many of MCC’s congregations, including its founding church, and for more than 20 years was the denomination’s Chief Ecumenical Officer, representing MCC at the National and World Council of Churches. She continues to be an active voice on behalf of HIV and AIDS issues, prison reform, LGBT human rights efforts, and the rights of women and children. Rev. Wilson is a graduate of Allegheny College and holds the Master of Divinity degree from SS. Cyril and Methodius Seminary. She is currently a doctoral candidate at the Episcopal Divinity School in Cambridge, Massachusetts. The Rev. Pat Bumgardner, Chair, and DeWayne Davis, MCC Public Policy Team. The President’s Advisory Council on Faith-Based and Neighborhood Partnerships brings together religious and secular leaders as well as scholars and experts in fields related to the work of faith-based and neighborhood organizations in order to make recommendations to the government on how to improve partnerships. The President will announce additional members to this Council at a later date. Angela Glover Blackwell is the Founder and Chief Executive Officer of Policy Link, anonprofit organization that strives to advance economic and social equity, improving access and opportunity for all low-income people and communities of color, particularly in the areas of health, housing, transportation, education and infrastructure. Prior to founding PolicyLink, Ms. Blackwell served as Senior Vice President at the Rockefeller Foundation, where she oversaw the Foundation’s Domestic and Cultural divisions. Previously, she founded the nationally-acclaimed Oakland Urban Strategies Council, where she pioneered new approaches to neighborhood revitalization. From 1977 to 1987, Ms. Blackwell was a partner at Public Advocates, a public interest law firm. She serves on numerous boards and was co-chair of the Task Force on poverty for the Center for American Progress. Ms. Blackwell is a frequent commentator on some of the nation’s top news organizations. She holds a B.A. from Howard University and a J.D. from the University of California at Berkeley. Lynne Hybels is co-founder and Advocate for Global Engagement at the Willow Creek Community Church, a religious organization committed to maximizing individual life-transformation as well as encouraging effective leadership of local churches. For two decades, Mrs. Hybels has been involved in Willow Creek’s ministry partnerships in under-resourced communities in Latin America, Africa, and the Middle East. She has written inspirational books and articles focusing on global poverty, HIV/AIDS, and Israeli-Palestinian peace. Under her leadership, Willow Creek is establishing an Advisory Board on Middle East Engagement. Mrs. Hybels is currently a board member of the Africa Advisory Board at Willow Creek Community Church and recently served on the U.S. Board for World Vision. She holds a B.A. in Social Sciences from Bethel College. Sister Marlene Weisenbeck is a member of the Franciscan Sisters of Perpetual Adoration. Sister Weisenbeck is an officer and past president of the Leadership Conference of Women Religious, a canonically approved membership organization which exists as a support system and corporate voice for leaders of religious institutes of Catholic Sisters in the United States. She also serves as Chairperson of the Catholic Health Association’s Sponsorship/Canon Law Committee and is a consultant in religious law. Sister Weisenbeck was president of the Franciscan Sisters of Perpetual Adoration from 2002-2010. 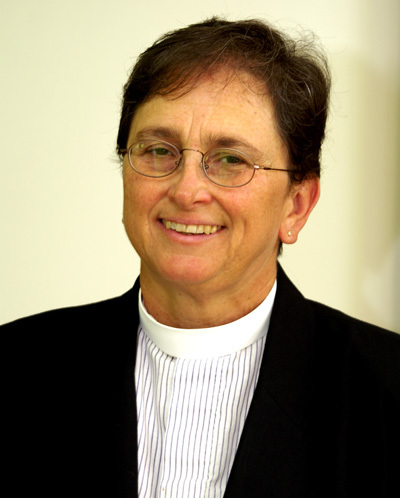 She is also past president of the National Conference of Vicars for Religiousand Chancellor for the Diocese of La Crosse. Sister Weisenbeck holds a B.M. Ed. degree from Viterbo University, an M.M. from George Peabody College of Vanderbilt University, a J.C.L. in Canon Law from Saint Paul University-Ottawa, and a Ph.D. from the University of Wisconsin-Madison. Reverend Elder Nancy L. Wilson is currently the Moderator (Global Leader) for the Universal Fellowship of Metropolitan Community Churches which has hundreds of churches in 38 countries. Rev. Wilson is also one of the nation’s leading LGBT pastors. She has been a pastor in multiple Metropolitan Community Church (MCC) congregations including congregations in Florida, Massachusetts, Michigan, and California. Rev. Wilson is the former senior pastor of the Metropolitan Community Church of Los Angeles, considered the founding church of the Metropolitan Community Church movement. For twenty years, she served as MCC’s Chief Ecumenical Officer, representing the congregation at the National Council of Churches and World Council Churches. Rev. Wilson has been an active voice on HIV issues, prisoner treatment programs, LGBT issues, and women’s rights. She holds a B.A. from Allegheny College and an M.Div. from SS. Cyril and Methodius Seminary.